The Iowa Paralyzed Veterans of American (IPVA) is a non-profit organization and is one of 33 chapters which represents our national organization, Paralyzed Veterans of America. Our membership is free and consists of veterans of the United States Armed Forces who have suffered a spinal cord injury or received a diagnosis of disease affecting the spinal cord. Providing a National Service Officer to assist veterans in the process of their claims through the Veterans Administration. Sponsoring athletes who attend the National Veterans Wheelchair Games and other sporting or recreational events. Providing funds for patient programs at both the Des Moines and Iowa City VAMCs, and at the Iowa Veterans Home in Marshalltown. Providing funds for medical personnel to attend special training seminars dealing with the care and treatment of spinal cord injuries/dysfunction. Providing funds for foundations and corporations who promote finding a cure and/or improving the quality of life for those with catastrophic spinal cord injuries or diseases (these include both national and local research projects). Providing education and advocacy to the community at large to improve the accessibility to the public and private institutions for all disabled individuals. Sponsoring social activities for our members and their families. Iowa PVA relies solely on private donations and receives no governmental funding. All contributions are tax deductible*, as we are a 501(c)(3) corporation. We are a veteran's service organization charted by Congress. Notice Regarding Donations made directly to the Paralyzed Veterans of American - Iowa Chapter. 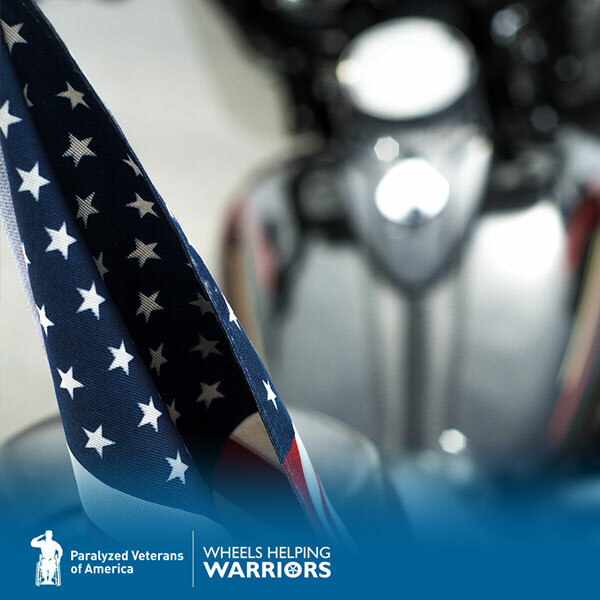 85% of every donation made directly to the Paralyzed Veterans of America - Iowa Chapter goes directly to the eight designated programs supported by the Paralyzed Veterans of America - Iowa Chapter. The Paralyzed Veterans of America - Iowa Chapter relies solely on donations and grants and receives no Governmental funding. Additionally, the Iowa Chapter does not utilize telemarketing or direct mail solicitation of donated funs. All donations made directly to the Paralyzed Veterans of America - Iowa Chapter supports local Veterans and Iowa Chapter members. Your donations support both service connected and non-service connected disable Veterans. Please see the most recent full independent audit report and IRS form 990 under the Financials tab of this website. If you have any questions, please contact Kimberly Gould, Executive Director at (515)277-4782 any time day or night. On behalf of all of our members and associate members, thank you for your interest in our organization. Please visit our site frequently; we are always adding pictures, videos, and information about our non-profit organization. 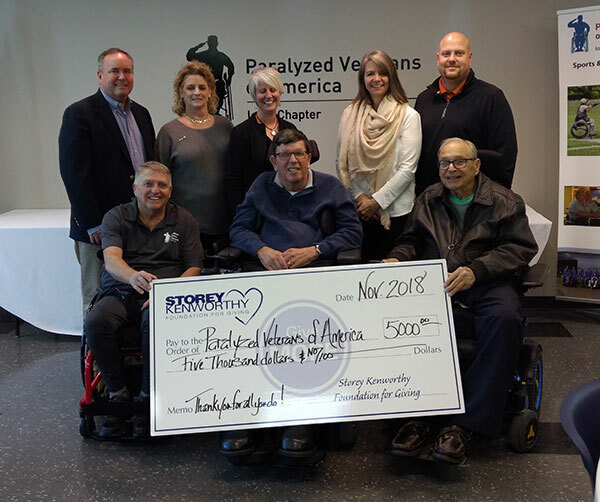 THANK YOU to Storey Kenworthy for their generous donation of $5,000 to help fund the Midwest PVA Fishing Event in Ely, Minnesota in 2019. Thank You, Sammons Financial Group! 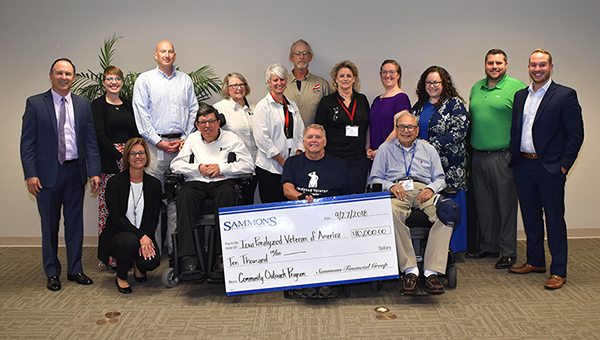 Iowa PVA was nominated to the Sammons Financial Group giving committee by Sammons employee Megan Christiansen, and a donation of $10,000 was presented to the IPVA on Thursday, 9/27/18. THANK YOU to Sammons Financial Group for their generous gift!